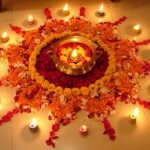 Rangoli making is a creative work and who doesn’t likes to decorate their homes on Diwali with them. 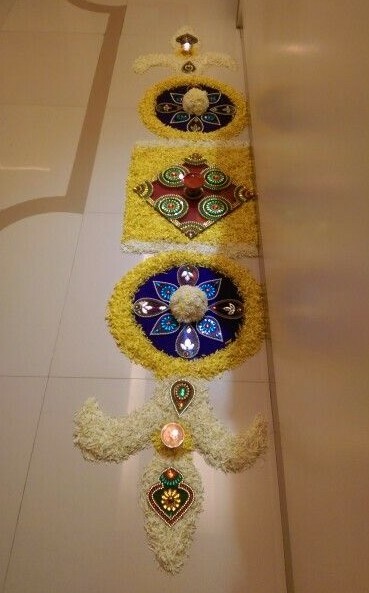 You can decorate entrance of your homes, gardens, pooja, stairs etc like this and its also very easy to do until you are picking up a very hard design. 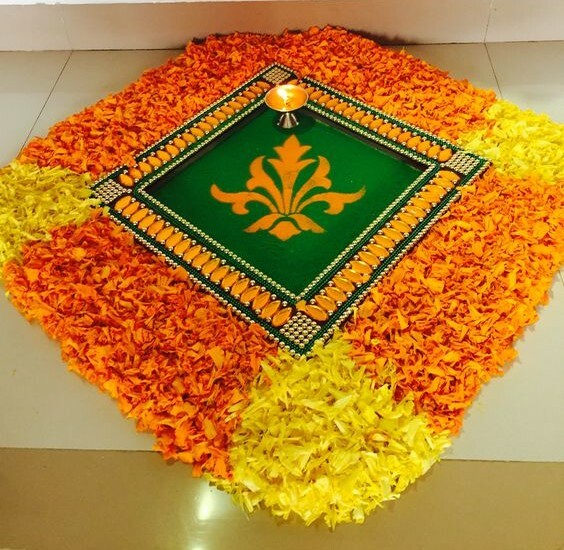 Making Rangoli at home is considered very auspicious and brings in good luck to the house. 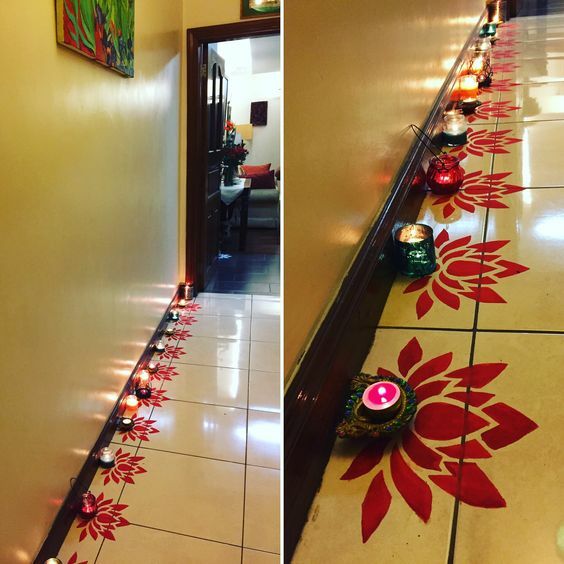 Here are some super easy designs which you can try this Diwali. Lotus border design– Lotus design like this is perfect for making borders. You can achieve a perfect look by cutting out a stencil in this design and use it to achieve the perfect shape every time you do it. 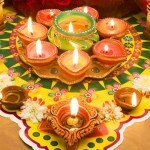 Place candles or candle jar or even diya to lighten up the space. Flower borders– You can also use petals of real flowers to make these designs. The two below are super easy to do, you just need to pick flower petals of two colors and make geometrical shapes like these. 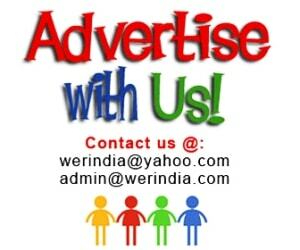 If needed you can also add more colors to your rangoli. Highlight the area with diya’s. Gardens, stairs and lobby areas can be done like this. 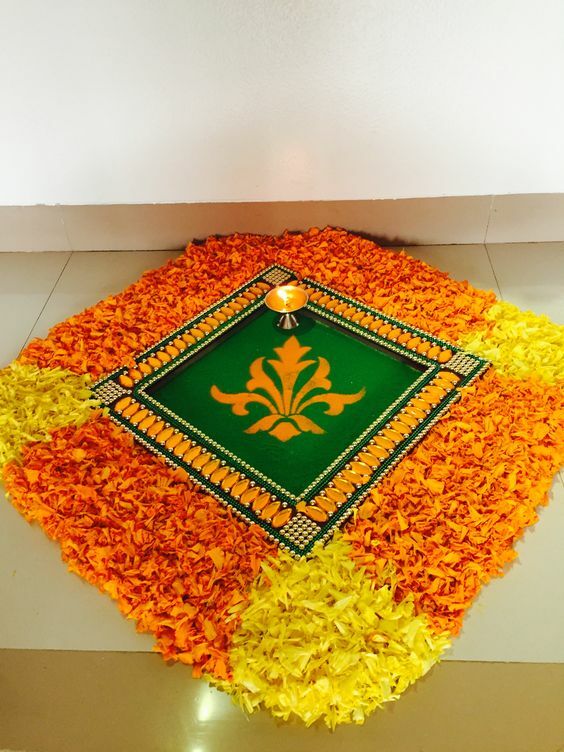 Square shaped rangoli-You can take help of a decorative square shaped tray and work your rangoli around it. 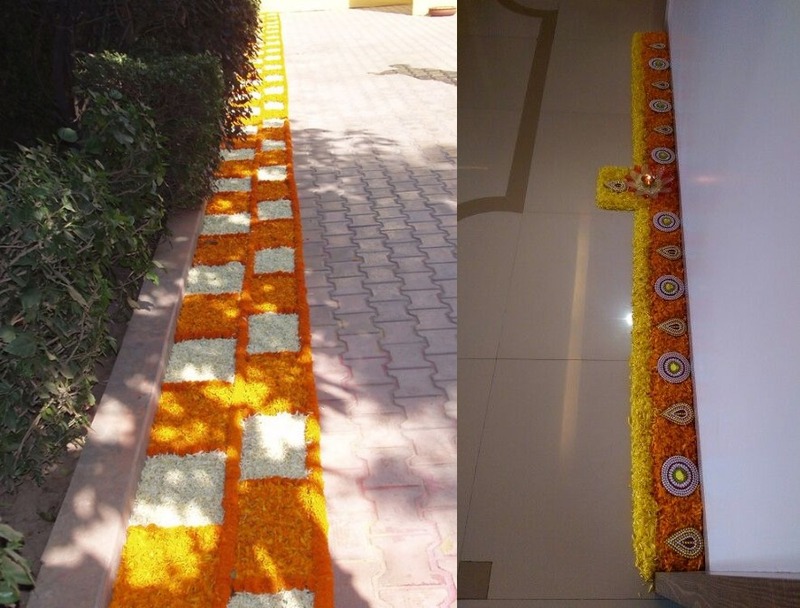 Use marigold petals if you want to use fresh flowers, otherwise use different rangoli colors for decoration. Decorate table top-You can also decorate your living room center table and other corner tables with fresh flowers like these. 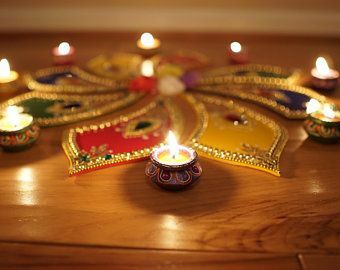 Enlighten few diya’s around it, and you can also place few embellished cutouts which are easily available in the market. 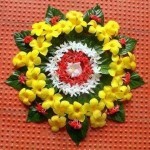 Mix and match textures-Rangoli colors can be used with flowers to create a distinctive and colorful rangoli. This is a great idea as it gives more opportunity to play with different colors and textures.